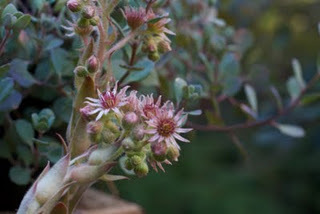 The Last Leaf Gardener: Rockin' around the Hens and Chicks! 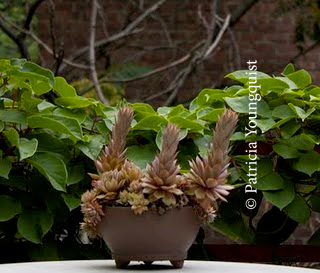 The succulent known as Hens and Chicks which I grow in my urban (NYC) garden is pictured above atop a "dining table," where I often entertain guests. This particular succulent makes a great center piece which is intriguing to all — including bottles of wines, spirits and cordials — as evidenced by their fascination with the aforementioned succulent. 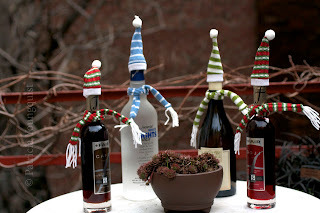 (They even bundled up in their winter gear — and it's not even that cold today — to come out of the liquor cabinet and into my garden to see this succulent). 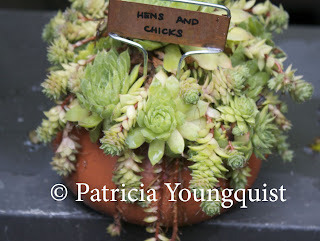 As for the particular "bowl" of Hens and Chicks that have attracted the attention of my "bundled up" bottles of liqueur, vino, and spirits, and seen above today's blog entry, it is a plant whose image you might recognize, if you follow this blog, because this particular variety of Hens and Chicks, was featured in a blog post, this past June, when it looked like it was making a "thumb's up" gesture. 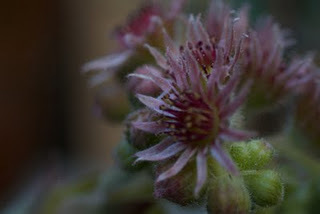 And, this particular Hens and Chicks, was subsequently featured on TLLG in a posting this July when it flowered and looked like this (see below). 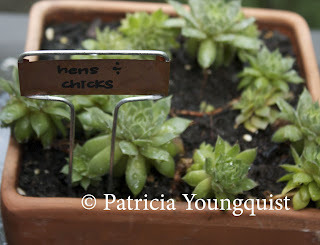 These images of my Hens and Chicks are included again today, because, in a sense, Hens and Chicks, are an example of how we should live our lives — especially now when we are approaching the holidays of Chanukah (the evening of December 20th 2011 through December 28th 2011), Christmas (the evening of December 24th 2011 through January 8th 2012 or February 2012 depending on where you live) and Kwanzaa (December 26th 2011 through January 1st 2012). The holidays may have their differences in dates on which they are celebrated as well as the the beliefs associated with them, but the importance of family applies to all of them. A "central message" by the way Hens and Chicks live their lives is applicable to all families, no matter what they celebrate, and even if they do not celebrate at all. 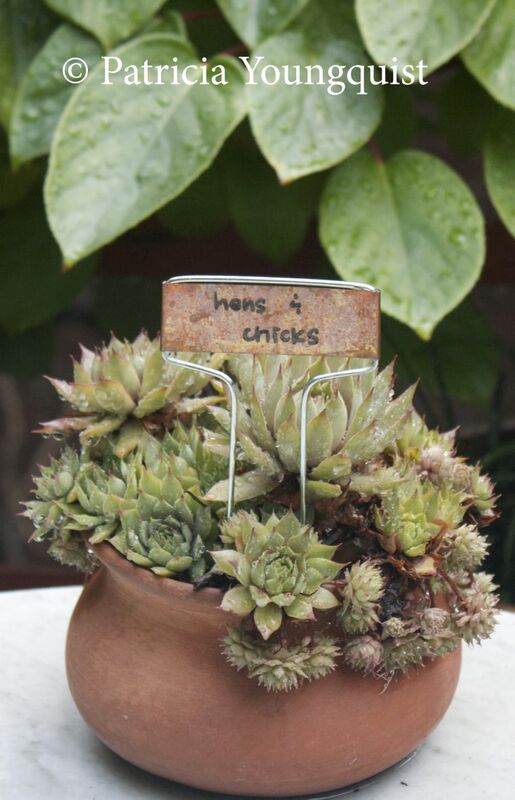 According to a citation in Wiki, "Hens and Chicks is a common name for a group of small succulents belonging to the flowering plant family Crassulaceae, native to Europe and northern Africa. They grow close to the ground [or in my case a container] with leaves formed around each other in a rosette, and propagating by offsets. 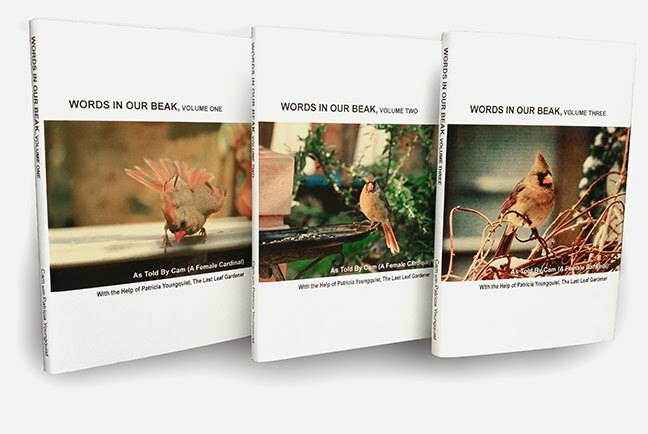 The "hen" is the main plant, and the "chicks" are the offspring, which start as tiny buds on the main plant and soon sprout their own roots, taking up residence close to the mother plant . . ."
"Upon maturity (usually around three to four years old) the plant will send up a single stalk that ca reach 5-25 cm tall. 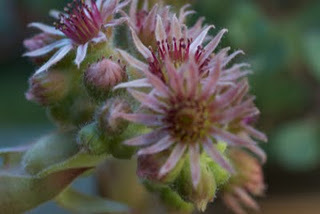 The head of the stalk is a cluster of star-shaped buds 1-2 cm in diameter, which range in color from dark pink to yellow and that flower for several weeks. After blooming, the plant will die. 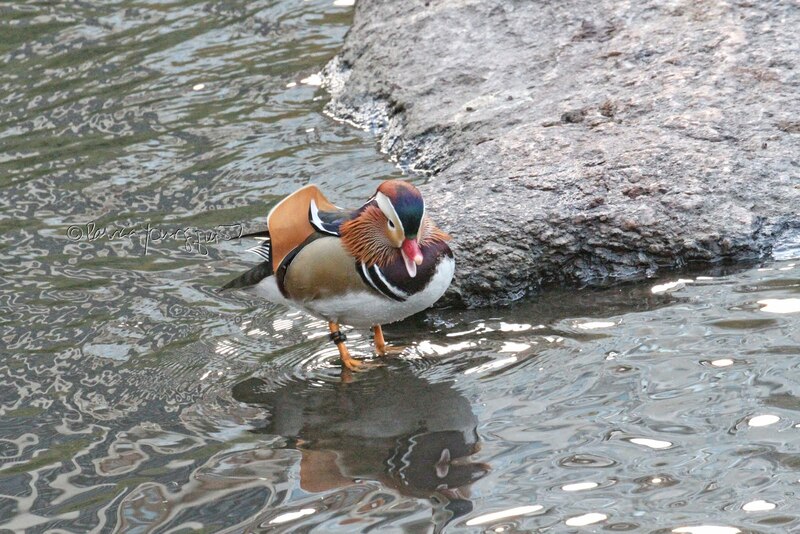 Usually by this time it has produced many offsets ('chicks')." It is this aforementioned behavior of the Hens and Chicks that makes me think of this succulent in relation to celebrations involving family. 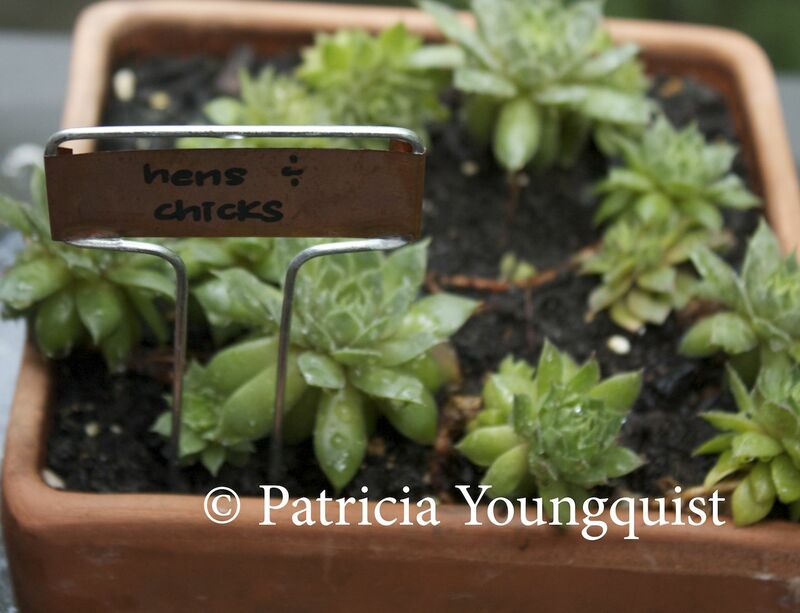 A blogger, known as Patrick who calls his blog Patrick's Garden: A Fresher Look at Creative Gardening made this observation about Hens and Chicks too, but, he stated it in a most moving way in his blog post The Philosophy of Hens and Chicks, where he wrote "I like to think that Hens and Chicks remind us of how we should live our lives. Be a loving parent and show our children how to get the most you can out of life. And when it is our time to go, they are prepared to do the same."